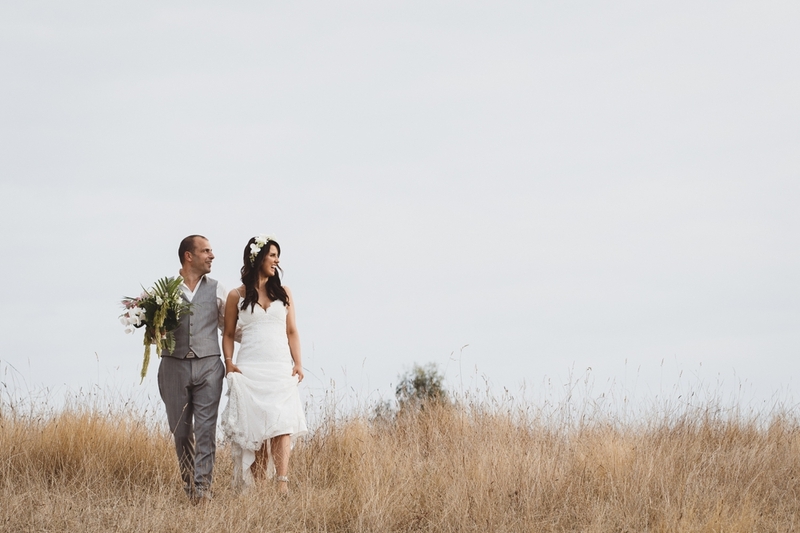 Em + Paul got hitched in March 2017, they welcomed a gorgeous baby girl to the world earlier this week, so I figured it was about time to share their day as this next stage of their lives kicks off. These two are super lovely, I met Em not long after I moved down to Traralgon almost 6 years ago, and Dave’s known Paul and his identical brother John for years, we definitely consider them friends and it was an absolute pleasure to be asked to be involved in their wedding. Their’s was a day of family love on a family property in Nilma, just out of Warragul, Em’s sister had just moved back from living overseas, and even though Paul’s mum is no longer with us, she [and his much loved dog] were included in the day – you’ll see photographs on them in frames while Paul was getting ready. 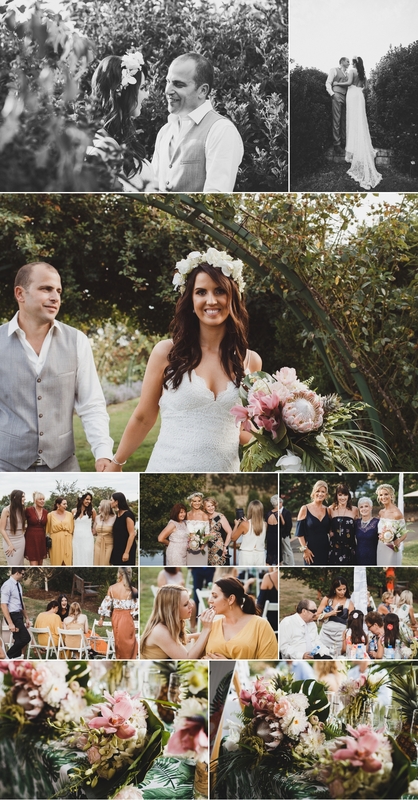 So many smiles and so many awesome tropical touches, Em’s bouquet was a combination of tropical and not so tropical flowers, the perfect mix for her decor [pineapples down the aisle anyone?!?] and the rural venue. I can’t wait to meet your little darling next week guys, can’t wait to see you as parents. P.S. check out the list of vendors at the end of this post!